Welcome back to Monday Motivation! This past week has been all about garments! I have been trying out different patterns both store bought and independent brands. I will be reviewing the different patterns I have sewn this week. The best pattern I have found so far is The Shoreline Boatneck from Melly Sews! It is a great beginner pattern. This is a pdf with many pages, so be sure to preview the pattern first and print out only what you will need! 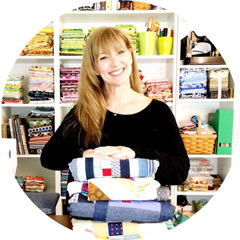 When the pattern is delivered to your email, it comes with links to helpful online tutorials from Melissa from Melly Sews. 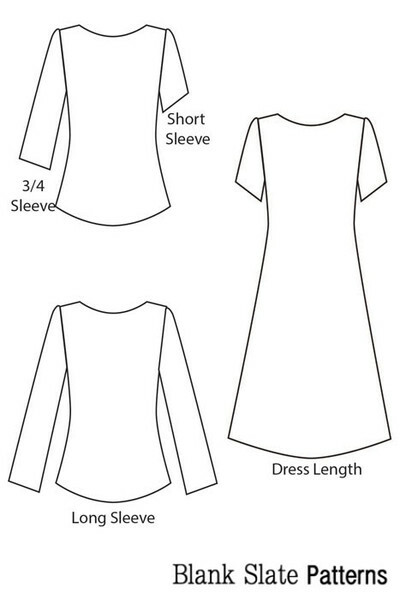 If you have not sewn garments before, the tutorials share the helpful tips to making this patterns but can be applied to other patterns as well. The fit for any pattern depends on your body type. I have learned every pattern is different when it comes to sizing. 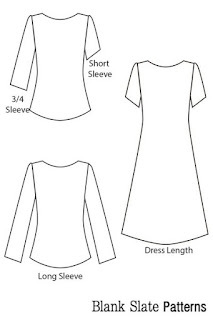 One size does not fit all and even with the sizing charts you can be two or three different sizes for one pattern. It is similar to purchasing ready to wear clothing. You can be a size 2 in Ann Taylor and a 4 at Banana Republic! It can be difficult to tell how the finished article will fit without making a muslin first. Fully constructed, I know a size smaller for this pattern would have been a better choice. This is my first one and I will be learning as I go. This one is perfect for a comfortable summer shirt! The neckline is what sold me on the pattern. It is perfect! A breeze to make and looks very flattering. If you have never tried sleeves, the way Melissa does it makes the process painless. The directions for this pattern are easy to read and make complete sense. I was not guessing ( I do a lot of guessing when reading patterns) at any point during the making of this top. It is straight forward and has the perfect amount of supporting graphics taking you through each step of the construction effortlessly. It was a breath of fresh air. This pattern has many size option from XXS to XL. You can make it in woven or knits. I would like to try the knit as soon as I work up the nerve. This pattern is not only for a shirt but a dress is included in the package and all have the option of short, 3/4 or long sleeves. I have been sewing on my Bernina 440 for all of the garments I am making using Aurifil 40wt. I am not using my serger much since I have been spending so much time with Jack ( my seam ripper). The fabric is stretch gingham print I bought eight years ago to make a tee pee! The tee pee did not happen but I now have lots of fun gingham toy play with and can see a fun summer skirt using this fabric. I like your different suits designs. how to get free psn codes for my xbox360 amazing program.